Here are three ways that you can use your smartphone to identify songs you hear while out and about. If you need a free way to identify music using your smartphone, Shazam is a great way to do so. As reported by the Google Play store, it’s used by more than 100 million people every month to identify music and lyrics. All you have to do is download and install the app. Then, tap the button in the Shazam app and it will start listening for something to identify. Shazam displays information on whatever it listens to, like music or tv shows, and you can buy the song or episode right from the app. Shazam is available on most, if not all, smartphones. Capable of running on Android, iOS, and Windows Phone, and even desktop use on Mac and Windows PCs, Shazam is a great option for anyone who loves music. The free app has advertisements, but if these bother you, you can update to Shazam Encore for $5.59 to remove them. 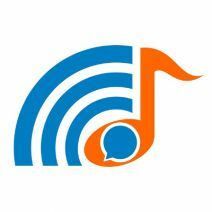 TrackID is another app developed to identify music. Produced by Sony, TrackID has many of the same features that Shazam does. The main difference is that TrackID can display information about the artist, like biographies and such. Other than this minor difference, TrackID is pretty much the same app as Shazam, only with a different interface. TrackID is only available on Android devices, but has plenty of functionality between other social media services, like WhatsApp, Spotify, and Facebook. Google has the capabilities to search for a song through Google Voice search, and identify it. In the same way as Shazam and TrackID can identify music, Google Voice Search can listen for music and tell you what’s playing. Once the song is identified, you can conveniently buy it through the Google Play Store. Unfortunately, these apps only recognize the song when the actual song is playing, so doing your best to belt out Bieber’s “Love Yourself” into your smartphone won’t return any results. For more great tips, subscribe to Tektonic’s blog.